The decision to vote yes or no on the Civic Center vote is clear and obvious. 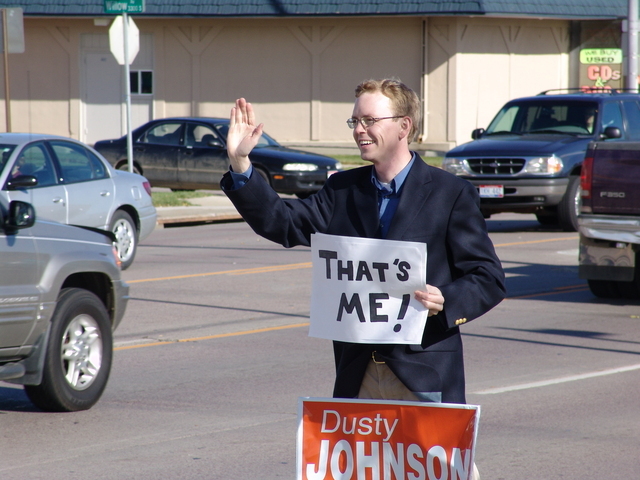 I ask citizens of Rapid City to do more than just read some social media headlines and comments from the crowd. Please take some time and educate yourself on both sides. I ask you all to ignore the antics of the extremes and really take 5 minutes to dig in. Ignore the smear tactics, negativity, ignorance, and instant hatred that comes with not doing some research. It’s easy to be against things. It’s harder to look at a nuanced and complicated issue and form your own opinion from the hard work of smart people. Take a second and realize that smart people have been putting in a lot of hard work. The lack of vision of the opposition and the scare tactics being used are nearly shameful, in my opinion. You'll find that this vote comes down to the following: Larger economic impact into the community, a better quality of life, no tax increase, and less dependence on other revenues. To the hordes of "I don't even attend" and "It was good enough for Elvis" commenters - you simply don't have the experience in this industry to weigh in on that opinion. That doesn’t mean you aren’t qualified to hold your own opinion - but anybody who has 10 minutes of event and concert experience knows this is an easy yes. Don’t just assume a comment on Facebook has any merit or actual experience. Talk with people who have been involved in this subject for years. Mayor Allender has given nearly 60 presentations on this subject. There are videos online, and miles of data on a few websites. With all due respect to the “Plan C” direction – it’s not a viable option. Decisions like Tuesday’s vote are the decisions that truly shape the future of communities like Rapid City. I urge you to take some time to reflect on the future you want to leave to future generations of this wonderful place to live. We owe a huge thanks to everybody who has been donating time, money, sweat, and effort to help be a part of the positive solution. I ask you to be a part of the future and vote Yes on Tuesday, June 5. “In for a Penny, in for a Pound is a 17th century English idiom that seems to describe the new Rapid City Arena ballot proposition delivered to city residents by a task force appointed by the Mayor and ratified by the Rapid City council. It is an either/or proposition that affords no middle ground and no compromise. It’s just the same old political strong- arm, special interest game of “my way or the highway” that has brought us to where we are. There is a significant absence of long term perspective and failure to recognize the obvious. People don’t complain about utility and public service deficiencies just to hear themselves talk. Our problem is not sequestered in business economics in Rapid City sufficient to justify construction of a new arena to keep up with the Jones. Our problem is tethered to homogenized business enterprise, over-dependence on public assets to include tax revenues, short term thinking, situational awareness and a paucity of long term planning. There has been no discussion or evidence presented to show that a scaled down or even modest remodeling of the Barnett Arena will not accomplish the same thing as proponents of the grandeur/opulence desire. Abstract speculation has been the only contradictory response to what is being labeled “Plan B.” Allegedly the infrastructure of the roof and interior arrangement of the Barnett discourages renowned performers from appearing in Rapid City, yet Country Music Superstars Sugarland and Luke Bryan will appear in the Ice Arena complex in June and September respectively. If we can field those acts in a smaller venue than the Barnett, we don’t need to build a bigger facility. We have two annual events that come close to filling the venue each day of the events; yet more space is needed based soley upon speculation and ill-described preliminary discussions. We’re confusing “want” with “need”. Now the Rush is beginning to fade like the Rapid City Thrillers, the Rapid City Red Dogs, and the Rapid City Flying Aces. More dependence on municipal gratuity to keep an activity in business. Newness wears off over time but the associated expenses grow with time, inflation, wages, costs of utilities and materials etc. None of that is factored into this proposal. In December 2016, at the end of the last 5 year Vision Fund Cycle, the City Council approved $6.5 million dollars for 10 Vision Fund Projects. Alderman Jerry Wright argued vigorously that the council should wait for two weeks before making a decision saying: “My concern is, we’re not addressing a single one of our infrastructure needs.” Alderman Scott said; “there is not enough of a cushion for contingencies if a project goes over budget.” Those arguments are, perhaps more valid today than they were two years ago. The Vision Fund has never held enough money to fund all the worthwhile, civic minded projects proposed. The Fund is intended to be used for the good of the greatest number of our city residents, not economic development to serve the Visitor Service industry. Sue Cook’s cattle argument is completely baseless. All over the country, bigger facilities require overflow parking locations further from the arena than the closest parking. And it should come to no one’s surprise that most every facility like ours offers VIP parking for people who want to pay for premium spots. Not just here in Rapid City, but [if you can imagine it] even in Denver. Sound arguments have been made that a bigger facility would allow the most popular performers (who draw the biggest crowds) a legitimate business opportunity if they stopped here, instead of passing through our town in the middle of their tour. So, Sue’s complaint about the current facility being empty too often completely misses the mark. There are no ‘country roads’ (as Sue says) between the Civic Center and the interstate. So, I can’t give her words any weight, at all, on that. A bigger city needs bigger entertainment facilities. Now is the time for Rapid City. People like Sue Cook confuse gaslighting with rational conversation. How are we such cattle? Just let someone really want something, perhaps on which to put his name, (Like a headstone.) And a big percentage of us say ok. Do people ever notice that parking now is bad because the city allowed a hotel to build in the parking lot, and now shares limited parking with the civic center (CC); the CC schedules multiple events for the same times, days, perhaps not every event but enough; don't forget new building at the high school that has impacted parking; not providing sufficient parking in new plans; suggesting that parkers should walk, pay for shuttles, pay extra to park closer, and show no plans for better traffic access to a bigger facility. Somehow it makes no difference that in statements made by the mayor the old facility sits empty too often but doesn't compare how often this will change. This was one of the reasons to not build more parking for the existing CC. One of my biggest objections is that the city's voters have been lied to about the hockey team and the fact that it can't fill the stadium, needs to be bailed out financially taking monies from who really knows where and the whole condition of the city structure needs to be repaired. No more bandaids for repairs. How about fire the city managers that cover up and lie to support their own agenda. Looking at concert/shows/event demographics, this area of the country doesn't support the numbers of people to attend en masse and make a new arena feasible. Then transportation into and out of the city. Essentially east or west. North and south are pretty much li'l country roads, making an amazing impression on performers who never communicate with each other. I think one reason people don't attend events now is the backwards reasoning to profit by charging more rather than charge less and provide the service/program for more individuals. Fill the seats. Adapt the existing structure to code and prove that this structure can be filled with consistency. Build parking. Support the community now, rather than some maybe group that might come. This tack might gain community support.--Sue Cook. I invite guest posters to weigh in on the new arena for Rapid City, which comes to a vote Tuesday. 500 words max, I'll edit for grammar, spelling and punctuation. Easiest way is to e-mail the copy to tsitrian@gmail.com Only parameters are good taste. My standard is that if I wouldn't want my old-fashioned God-fearing Greek grandma to see it, it ain't gonna get posted. KELO-TV last night. The contenders for the GOP nomination for Governor in June's primary were prepared and articulate, but in the end Jackley successfully drew a contrast between his state experience versus Noem's Washington, D.C.-centered years in the U.S. House of Representatives, where she's been since 2011. Understandably enough, Noem claims that her years in Congress were fruitful to South Dakotans, but I doubt that most of us who live here are buying it. She acknowledged that our state's GDP growth has been among the worst in the nation, yet continues to insist that she delivered for South Dakotans. For reasons that I can't fathom, Noem thinks being part of the team that passed the 2014 Farm Bill has been the centerpiece of her representation, yet farm income across the country since 2011 has fallen by 26% according to USDA data. South Dakota's farmers fared much, much worse, watching their incomes fall a staggering 76% from 2011 through 2016. The decline in SD's farm earnings continued through last year. Most relevant to our western South Dakota producers, calf prices since last Fall's marketing season have fallen by 20%, mirroring the downtrend in finished cattle prices. Going by prices and income, farmers in South Dakota have every reason to wonder why Kristi Noem touts her association with the 2014 Farm Bill as having had some positive effects on the ag economy, both nationally and here in her home state. More pointedly during the debate, she touted her allegiance to all things Donald Trump, which is even more of a headscratcher. The common experience of farmers having to deal with the whipsaws of Trump's trade policies has become a daily fixture in ag commodity markets, which wonder from one White House news release to the next if American farm products will have reliable overseas markets after they're harvested this year. Marty Jackley effectively tied the D.C. albatross around Noem's neck. 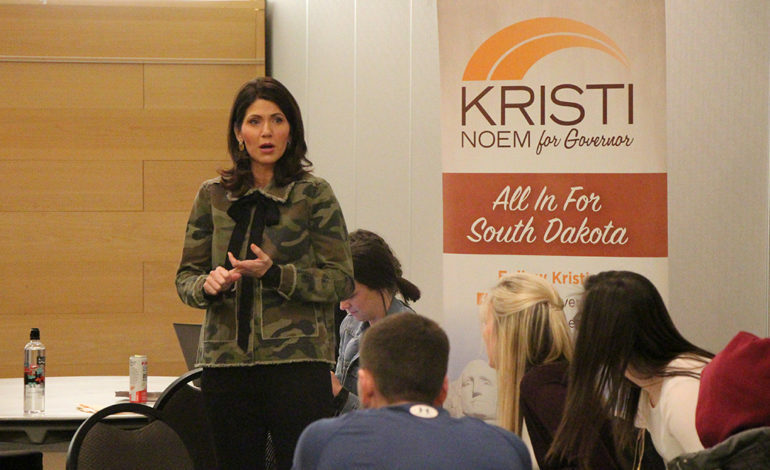 Then, to make sure that Noem's disconnect from day-to-day life in South Dakota during her congressional years is a potentially fatal political liability, Jackley called attention to the fact that Kristi Noem wants nothing to do with direct citizen input should she become Governor. It's actually kind of mind-blowing, but Noem continues to insist that voluntary citizen panels composed of private-sector South Dakotans giving advice and insight about matters that affect their personal and professional lives represents growth in government. This is more than a disconnect. This is walling off the very people Noem wants to serve. Jackley has and probably will continue to call attention to this cavalier approach to governing. 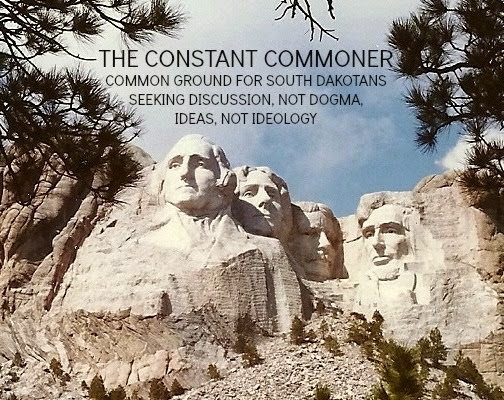 Noem's aloofness compounded by years of a lackluster tenure in Congress should make Republicans think twice about who they send up against Billie Sutton, probably the most formidable Democrat to run for Governor in many, many years. that cements this image of Prince Charming. We all hope this will someday be the end to our own fairy tale. The media have touted the latest Royal wedding as just that. Fairy tales come true for so many reasons and on so many levels. There’s the American British angle. There’s the racial angle and the barrier that appears to have been broken. And last but not least there’s the love conquers all angle no matter what the issue. Two factions emerge in the latest Royal spectacle. There are those who love a good love story complete with multimillion-dollar pageantry and those that wouldn’t spend a nano second watching such a ridiculous waste of time and money. They tout the idea that we won that war and don’t have to look back. The bride most definitely had the wedding of a lifetime. Not many weddings will reach the 100 million dollar mark, streets filled with well-wishers as you are driven by in a white horse drawn carriage, one of many from the stable of the queen. And don't forget wearing a borrowed tiara worth hundreds of thousands of dollars too. Gone are the days of leaving the crown for true love as Edward VIII and Wallis Simpson did. No, what the Royals have done is prove that all of our freedoms, so hard fought for, have been tossed aside and the Royal chains have been put on. And put on an American under the guise of being progressive! Wow! Think about a different angle. Where are the pink hat feminist American women who value their independence and are still working toward equal pay for equal work? Here is an example of a woman sacrificing a career that she aspired to, independence of thought/actions and freedoms that she will never see again. And she willingly agreed to it! Maybe he’s worth it. Does she feel that she has made a giant stride for African American women with the British’s most eligible bachelor prize? She may have purposely left out the term “obey” in her vows but you can be assured she will follow the agreed upon rules. If history is any indication, the tabloids are salivating. I’m sure there will be ample opportunities for salacious pictures and stories to come. All of the multimillion-dollar pomp and circumstance plus the title of Duchess of Sussex will never equal American freedom. got a bit defensive with me in last Friday's Rapid City Journal. His op-ed piece claims that I didn't have all the facts about his devotion to farmers when I called attention to his rhetorical genuflection towards President Trump. On his facebook page, Johnson says he "looks forward to working with Trump" who "has proven to be an effective chief executive." I'm not sure what facts he's calling into question, but a direct quote like that makes it pretty clear that Johnson will be an unquestioning loyalist to Trump. My piece chided Johnson for his fealty to a chief exec who's tax bill just added $2 trillion to the national debt, according to the Congressional Budget Office. Interest rates are already pushing higher as the government borrows, borrows, and keeps borrowing, to the tune of 84% more money this year than last. Johnson seems oblivious. The compelling question is, how can this "passionate" advocate for farmers believe that rising farm interest rates make Trump the "effective" chief exec that Johnson looks forward to working with? More hypocritically, Johnson in his recent tv ads decries the huge amount of debt that will be passed on to his kids, yet continues to fawn over the president who touched off the latest government borrowing binge. Consistency has yielded to expediency in the Johnson campaign. Then there's the matter of trade. Johnson has made some pro forma utterances about not using farmers as pawns, but they don't sound like much resistance to Trump's potentially harmful trade policies. He offers a couple of duh-inspiring quotes that are supposed to show his independence from Trump on trade issues. First he says "Market access is incredibly important to the South Dakota . . . agricultural economy." Next he says "I would ask the president to make sure we keep those markets open." Come again? He would "ask" the president? Would there be a "pretty please" attached to the request by this self-styled "passionate" advocate for South Dakota's farmers? These rhetorical flourishes notwithstanding, some specifics need to be addressed. Soybean prices last week fell below $10/bushel, nearly 10% below their peak last March, when all the Trump trade-war rhetoric started heating up. Analysts at the Farm Futures site yesterday called that "a fresh reminder of China's diminished soybean purchases over the past several weeks." So where's candidate Johnson's pushback? Tell it to the soybean farmers. So far I don't see much of a fighter for South Dakota's ag interests. And forgetting about soybeans for a minute, there's the matter of Trump administration policy on the ethanol mandate, aka the Renewable Fuel Standard (RFS), a major matter for corn producers. Trump's EPA chief Scott Pruit has been "chipping away" at RFS, which has irked Iowa GOP Senator Chuck Grassley, who bluntly told Pruitt last week that if the EPA chief didn't reverse course, he, Grassley, would "be calling for Pruitt to resign." Trump's front man at EPA has been a dud as far as many corn producers are concerned, and Grassley is rightly outraged. So now we've got farmers facing major new national debt, rising interest rates, price-crippling trade disputes and an ethanol-resistant EPA. If all this makes Trump the "effective chief executive" that Johnson venerates, Dusty can have him. For Responsive Politics ranked second among Senate recipients of telecom industry donations (just over $150 thousand) during his re-election bid in the 2015-16 cycle. Ergo, in keeping with the hostility that the industry has held toward net neutrality, Thune has long been against the policy of leaving internet service in the regulatory realm of the Federal Communications Commission. The FCC imposes time-consuming and burdensome requirements on internet service providers (ISPs) who seek to change the terms and mechanics of their internet delivery systems. Some, like me, see this as a protective mechanism for consumers who would otherwise be at the mercy of their ISPs, which, unfettered by FCC oversight, would find it easier to make changes in delivery and prices for content and speed. Some, like Thune and the ISPs themselves, see it as a restriction on their abilities to innovate and invest in better equipment and service. In 2015 Thune was incensed by an FCC decision that essentially let the FCC continue its internet oversight. Thune called that decision "partisan," a "power grab" and "regulatory overreach," a reflexive response that dovetailed with the telecom industry's reaction, promising to do all it could to reverse the FCC decision. For background, Thune's 2016 haul from the telecom industry was a small part of the $900,000 he received from the likes of internet service providers AT&T, Verizon, and Comcast through 2017. He's supported well by these folks. But even as Thune and his significant others in the telecom industry claim otherwise, industry behavior hasn't shown much reluctance to innovate and invest. Last December Investopedia released a report that shows that investment has been stronger than ever since the 2015 FCC decision upholding net neutrality. Investopedia cites an Internet Association study using publicly accessible data that refutes the claim that ISP investments have been hampered by the net neutrality decision. In fact, Investopedia concludes that "their spending has increased since net neutrality." Of course, all of this is moot now that the Trump administration has named an ISP-friendly commisioner, Ajit Pai, to chair the FCC. Pai has already announced that net neutrality is dead and will end by next month. It's no surprise that 21 states are suing the FCC to overturn Pai's decision. What's intriguing is that Senator Thune has suddenly become a fan of net neutrality--now that it will no longer be enforced. In the piece I cited earlier, Thune claims he "supports rules that prevent blocking, throttling and paid prioritization of internet traffic." I hope the Senator will provide us with a list of rules that he will propose in hopes of maintaining our present and unfettered internet lines of communication and speed. More specifically, what will the Senator do to make sure that ISPs won't favor content they own by impeding accessibility to competitive content? And just who will enforce those rules, anyway? Meanwhile, spokespeople from AT&T, Comcast, and Verizon cross their hearts and hope to die that they'll never mess with internet traffic once net neutrality is terminated next month. Comforting words, I suppose, but like residents of 21 states (many of them "red"), I'm dubious. Um, Okay, But What Does All Of This Have To Do With The Price Of Soybeans? Um, okay, but what does all of this have to do with the price of soybeans? That should probably be one of the most pertinent questions that come to mind as we South Dakotans head into the final stretch of primary season, but our main Republican candidates don't seem interested in prosaic questions about crop prices. Unlike their Democratic counterparts during this election cycle, GOP aspirants have to fight each other to get on the November ballot, and their contests seem to have turned into a scramble to see who gets top honors in the Trump Admiration Society. 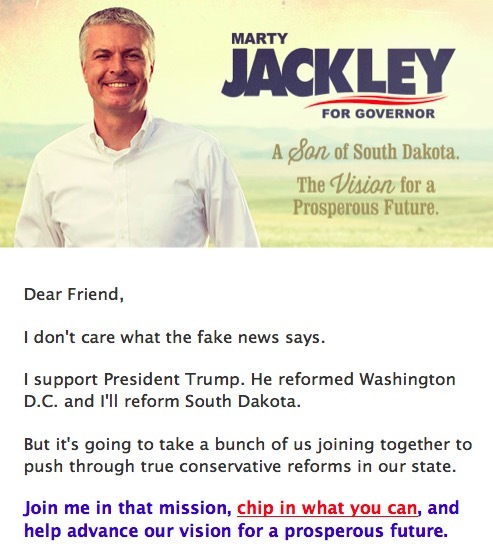 Attorney General Marty Jackley, running for Governor, even recently adopted Trump's signature code phrase--"fake news"-- because he's miffed at the "fake news" that he doesn't support Trump. Fake or real, the application of a Trump catchphrase to his campaign literature will probably do Jackley some good. As to Jackley's major opponent Congresswoman Kristi Noem, her recent tv spots have touted her commitment to a balanced budget, a laughably disingenuous claim, considering she supported Trump's tax bill, which the Congressional Budget Office says will add $1.9 trillion to our country's debt during the next decade. Some balance. 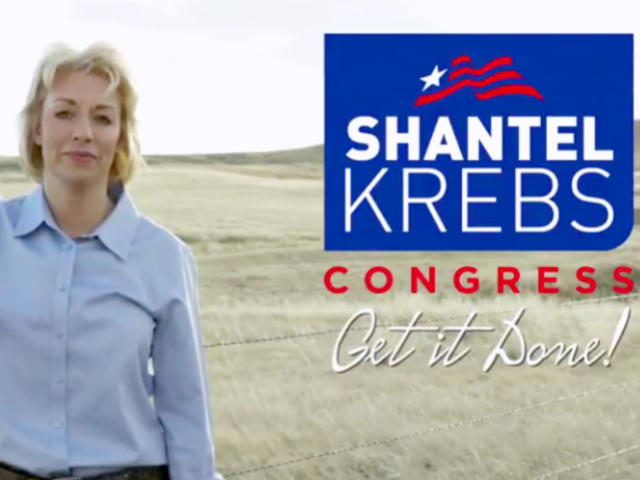 Meantime, our Secretary of State Shantel Krebs, running for South Dakota's lone seat in the U.S. House of Representatives, has been outspokenly supportive of Trump since announcing last year. South Dakotans "should not have to bear the financial burden of a reckless government" says Krebs on her website, as if the creation of a nearly $2 trillion deficit is neither reckless nor financially burdensome. 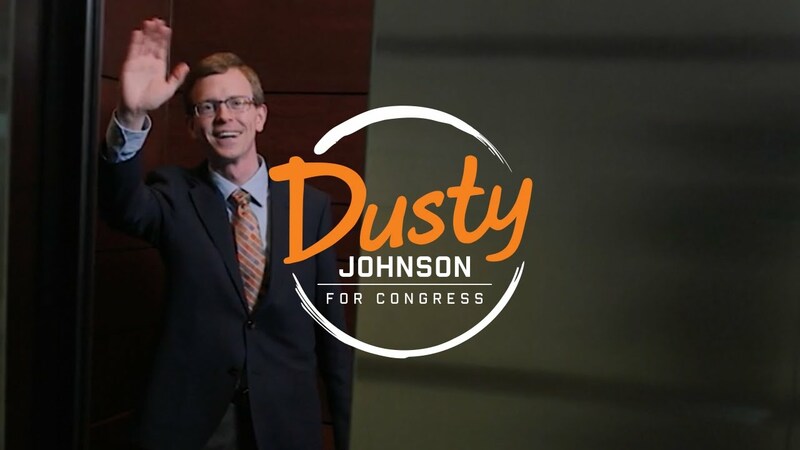 Krebs' competitor for the House seat, Dusty Johnson, says on his Facebook page that he "looks forward to working" with Trump, who "has proven to be an effective chief executive." With that deficit in sight, Trump looks to be more the chief executioner than the chief exec. While the candidates pile on the political ingratiation, the question at the start of this piece looms large, if essentially ignored. In the process of attaching themselves to Trump, are these hopefuls disregarding the perils created by their leader? If you say "enough" with the deficit, already, consider the damage that could easily be done to South Dakota's ag economy by his trade war initiatives, spurring a serious tariff threat by China. Short term, things won't be so bad. There are other buyers. But long term issues are serious. A study completed last March at Purdue University concludes that the tariffs threatened by China would create global adjustments that will eventually reduce American soybean output by 17% and bring prices down by 5%. Last year's 250 million bushel soybean crop in South Dakota would take a $100 million hit. As markets move in tandem, corn would also suffer, as would, most likely, wheat. Little wonder that Grant Kimberly of the Iowa Soybean Association last month called the Chinese tariffs "devastating." It would be nice if South Dakota's Republican aspirants could take a breather from their non-stop adulation of Donald Trump and address the consequences of the policies they so enthusiastically embrace. want some women to assume they can speak for me either. I’ve never been a bra burner, pink hat lady or agreed with quotas for quotas sake. Whoever thinks that girls should be members of the Boys Scouts and who have forced this issue does not represent me. The Girl Scouts organization already exists! Why isn’t it good enough for them to join the Girl Scouts? If they think it needs to be more like the boy’s organization why not make changes and leave it at that? No, that would not be sensational. It’s not that the opportunity doesn’t exist, as was the case when girls weren’t able to play school sports. We now have equal opportunities such as boys and girl’s soccer, basketball, track, and baseball/softball. I agree with this. If we take the argument that has been thrust upon the Boy Scouts for inclusion one step further, why not make all High School and club sports co-ed. Wouldn’t the same argument used on the Boy Scouts apply? Do we really want girls on boys’ basketball teams or vice versa? In an age where budget cuts to South Dakota schools are appearing to be the norm maybe this would be an option to save schools money! It would eliminate one team of every sport. There would be no need for the Girl Scouts and they could merge as one organization? I’m, maybe may be not, being facetious but where would it end? This would surely get sports parents up in arms. How dare you suggest such a thing? People are being slowly played with the old “frog in the frying pan” tactic and as designed they don’t even realize what’s happening to them. The further down the slippery slope we go toward castrating men and trying to make women the same the harder it will be to bring ourselves back. We’ll be cooked/dead/croaked! Many obstetricians will no longer be able to announce, “It’s a girl, and it’s a boy!” Imagine their malpractice insurance if they get it wrong. It will solve one potential problem though; everyone will be eligible if they ever reinstate the draft. Everyone will know how to shoot by acquiring the Boy Scout’s “Rifle Shooting Merit Badge.” That is of course if they are still allowed to award it and we still have our guns! Oh the times they are changing. Some would say for the better. Others would disagree. There is the divide that we are witnessing. Its been made political but it’s really ideological. When you consider that those holding more conservative positions are the idealists the whole world seems upside down doesn't it?